New Honda CB1000R represents the pinnacle of path breaking innovation and technology with beauty and speed. Read the review to get the features, technical specifications & price in India. In a bid to pit against Yamaha's MT-01, Honda introduces CB1000R which gets a naked look with fully adjustable forks and radial front brakes borrowed from the sibling, Fireblade. It also sports all new single backbone frame, single sided swingarm, a superb looking 4-swept-spoke ninja-star rear wheel, an all-digital dash and H.I.S.S. security system. It comes with path breaking innovation and modern technology engineered and designed to cater the needs of the bike buffs. The motorbike makes a bold new statement joining the super bike category in India. Certainly, the all new Honda CB1000R is all set to unfold a new chapter in style, performance and safety. In the segment of liter-class performers, this super street machine, CB1000R delivers breathtaking power and awesome torque. The Honda CB1000R runs on a 998cc, 4-stroke 16-valve DOHC engine which whacks maximum power output of 92kW @ 10000rpm and the torque is about 1000 Nm @ 8000 rpm and the engine depends on a 6-speed transmission gearbox. It's the torque that pulls the motorcycle in the race or in an uphill climb with tremendous ease. The Honda CB1000R reflects power, masculinity with a distinctive style and appeal. It is a brain child of the Honda engineers' conceptualisation to make it a naked beauty to convey powerful impression even when it rests on the stand. The Honda CB1000R further grabs attention of every onlooker with the magnetic look and its unstoppable power-packed performance. The rear seat rises and the rear tyre is huge with seat saddle pitting a little. These looks of the bike are further enhanced with slim and short tail cowl and a forward-tilted fuel tank. The compact bikini cowl of the Honda CB1000R makes it look brilliant with its triangle-shaped multi-reflector headlight and distinctive LED position lamp. Honda CB1000R looks big but it doesn't behave unmanageable. It has more of steel as compared to other super bikes in the same segment and it does blend well with chrome. The four-spoked wheels again add to the overall superb beauty of the bike. Honda CB1000R sets the heart of many bike lovers on fire with its phenomenal speed and power kissing the Indian road. With the amazing acceleration and the new version of its braking system, the super bike can well be kept under control without the slightest displacement. Cartridge-type fork suspension system never fails and delivers smooth stop. 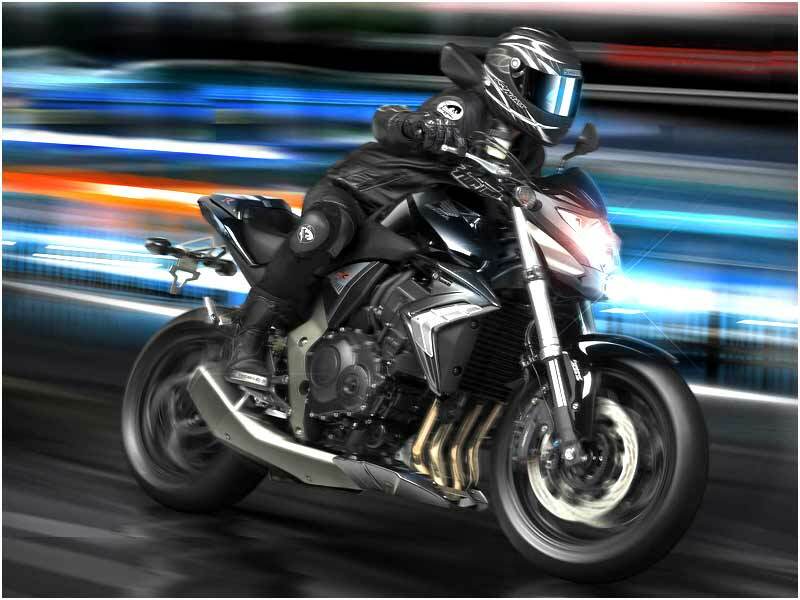 The Z rate sports bike standard tyres withstand high speeds and the wider rear tyre provides amazing stability and awesome pull on the corners and turns. 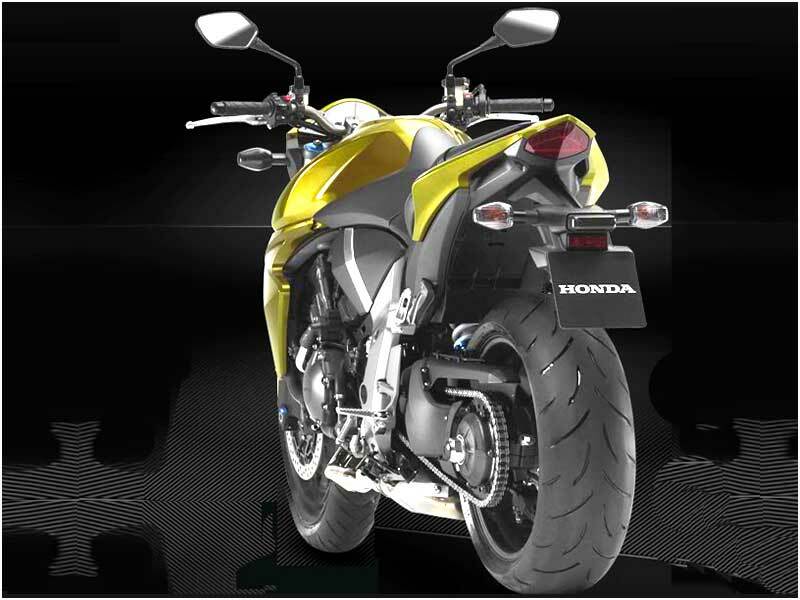 Honda CB1000R is equipped with ABS or Antilock Brake System which functions on bumpy and uneven road surfaces. The system reacts when there is even small change in the speed of 2 wheels and applies brake pressure for smooth and steady deceleration/stopping of the bike. So it should suit Indian roads as well. The tubeless tyres also contribute to the lighter weight while still gripping the road surface. With competition from Yamaha and Suzuki, Honda is poised for greater challenges in the super bike segment even in India. Queen on the road, Honda CB1000R flaunts awesome looks and high performance engine which delivers an average mileage of 13-16 kmpl. 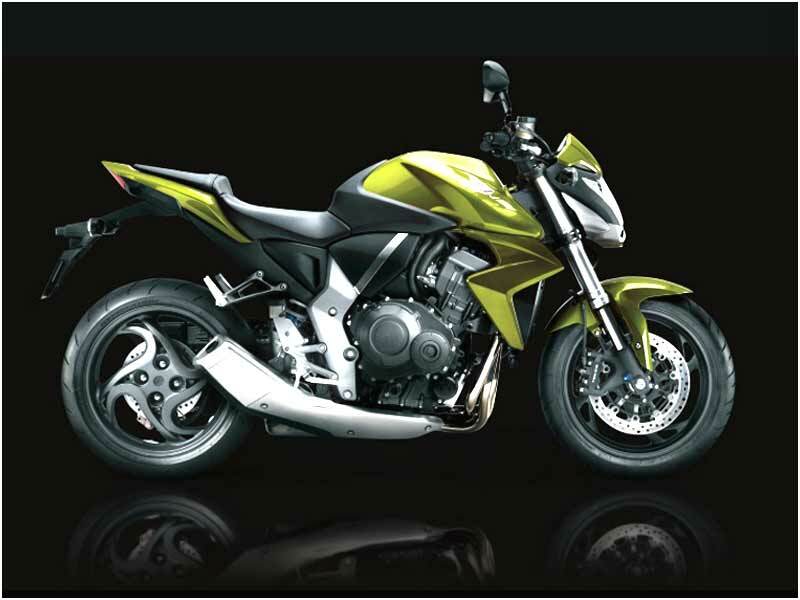 The available color options of Honda CB1000R are: Dragon Green Metallic and Pearl Nightstar Black. Honda will sell the CB1000R through exclusive stores in four metros - Mumbai, Delhi, Chennai and Calcutta in the first phase. Later it will extend to the other main cities depending on the demand.